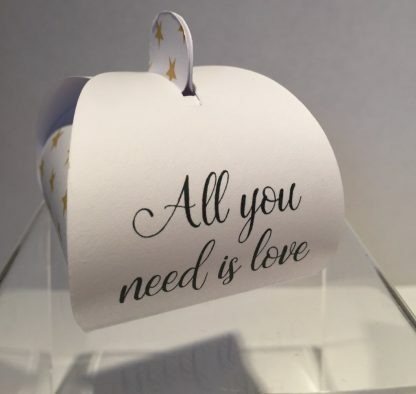 All you need is love – Personalised Wedding Favours. 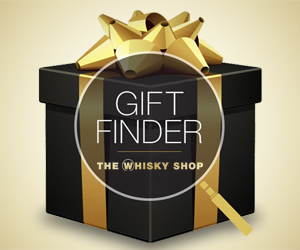 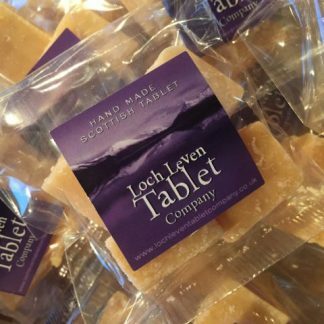 Available with Scottish Tablet or Personalised Chocolate fillings. 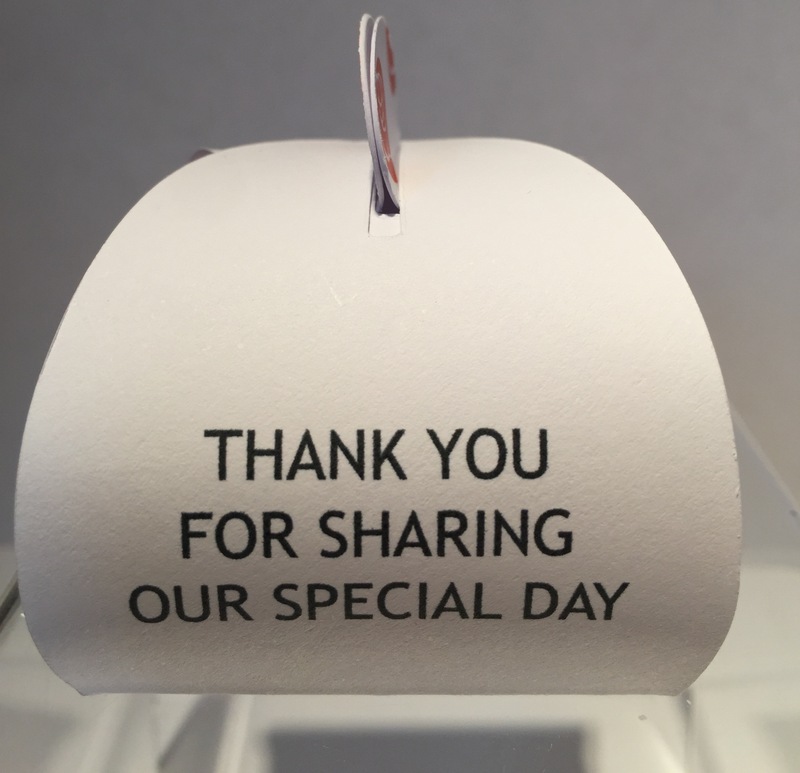 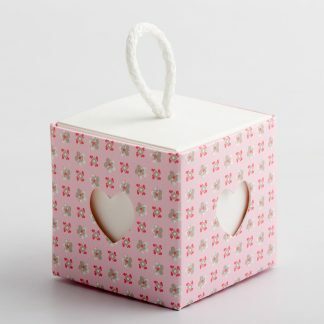 What would you like written on your box – we will email to confirm. 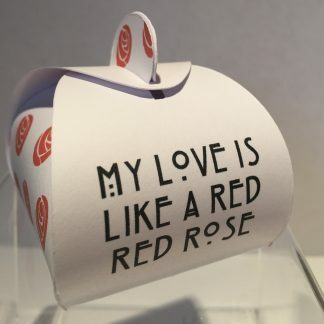 If you would like to change colours note here. 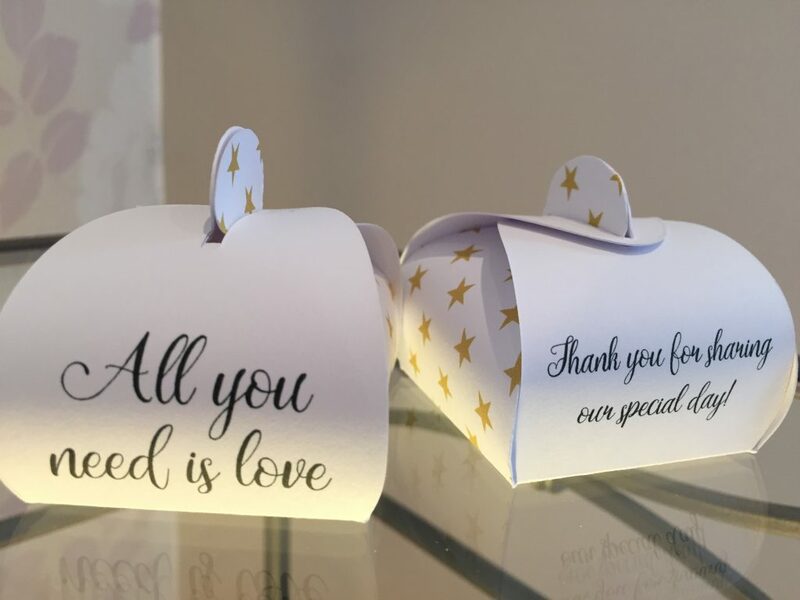 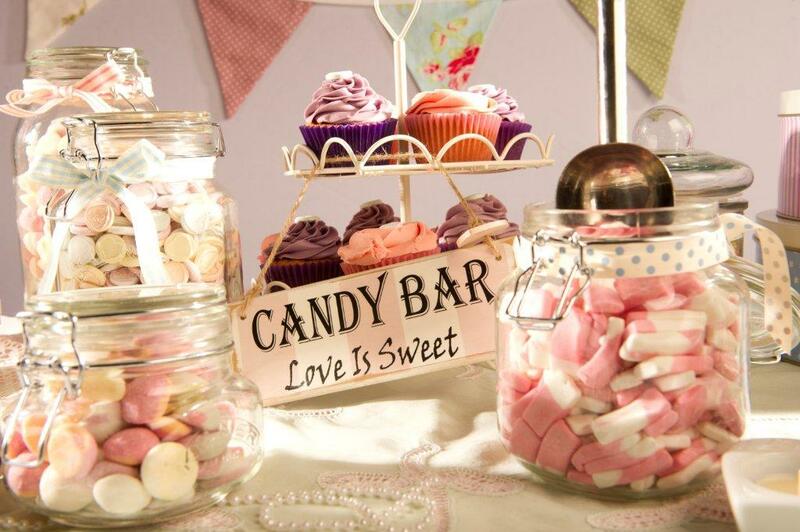 These beautiful Personalised Wedding Favours come filled with your choice of confectionery filling. 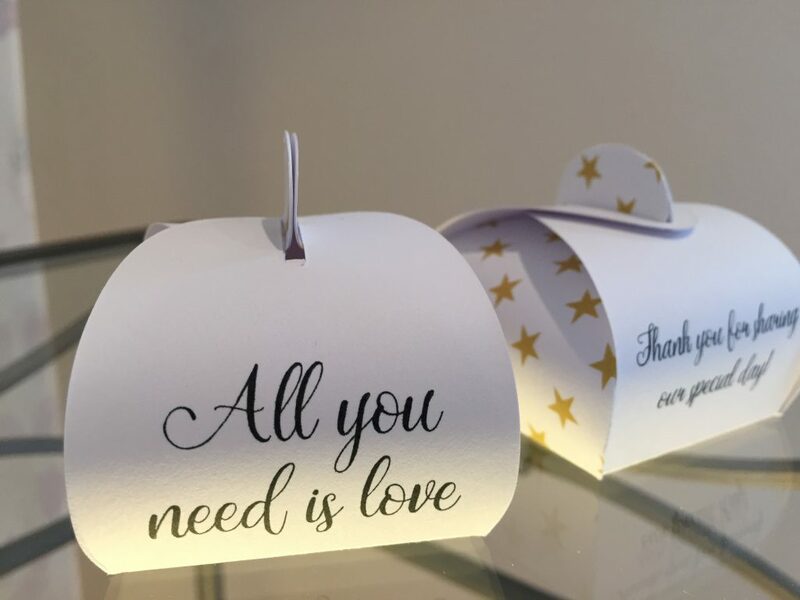 The boxes can be fully customised to meet your wedding requirements. 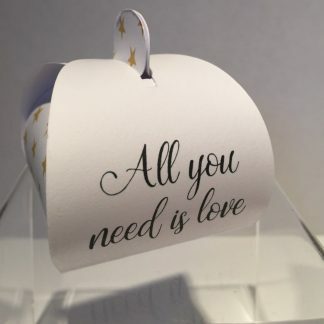 Text, Style and colours can all be changed if need be. 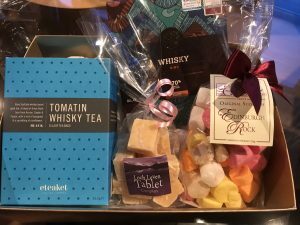 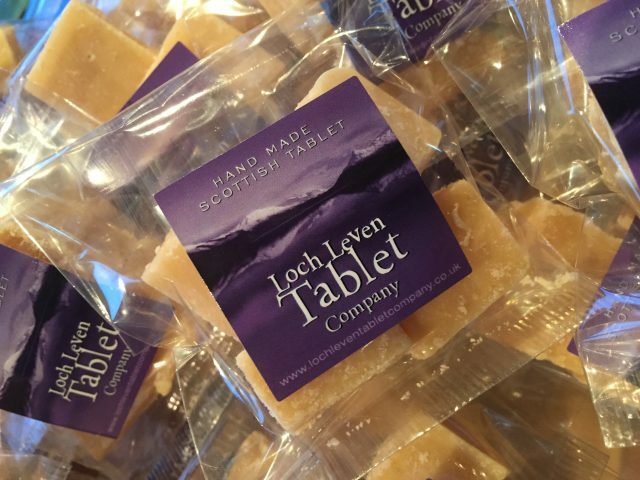 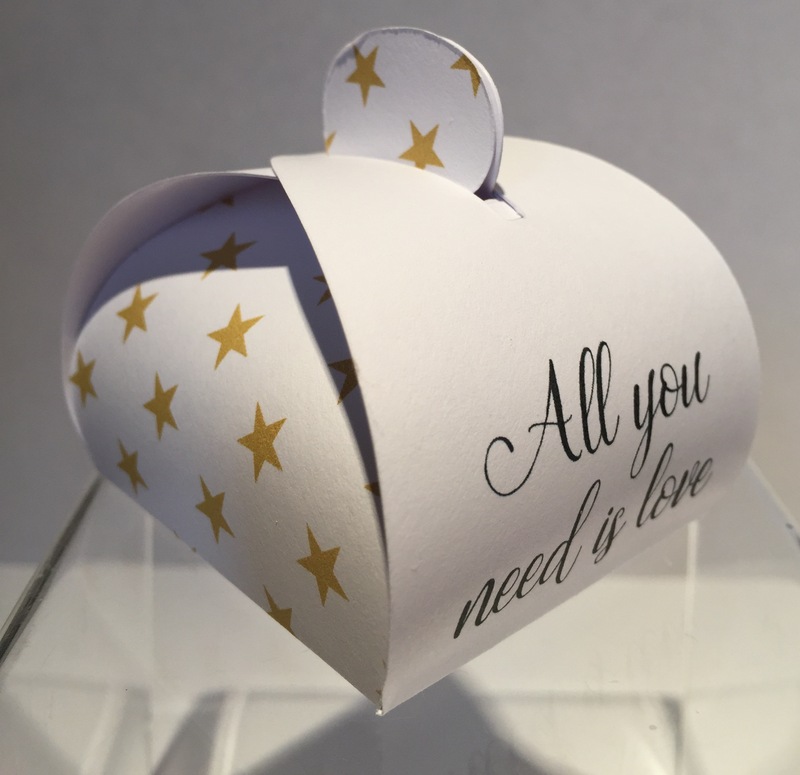 The All you need is Love box can come complete with 1 Large chunk of our handmade award winning Loch Leven Tablet. 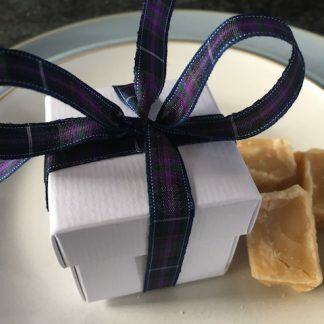 If you prefer a different filling to Scottish Tablet then the box can also be filled with Foil-wrapped Chocolate Hearts, Heart Design Chocolate Neapolitans, Sugared Almonds or Mini Chocolate Hearts. 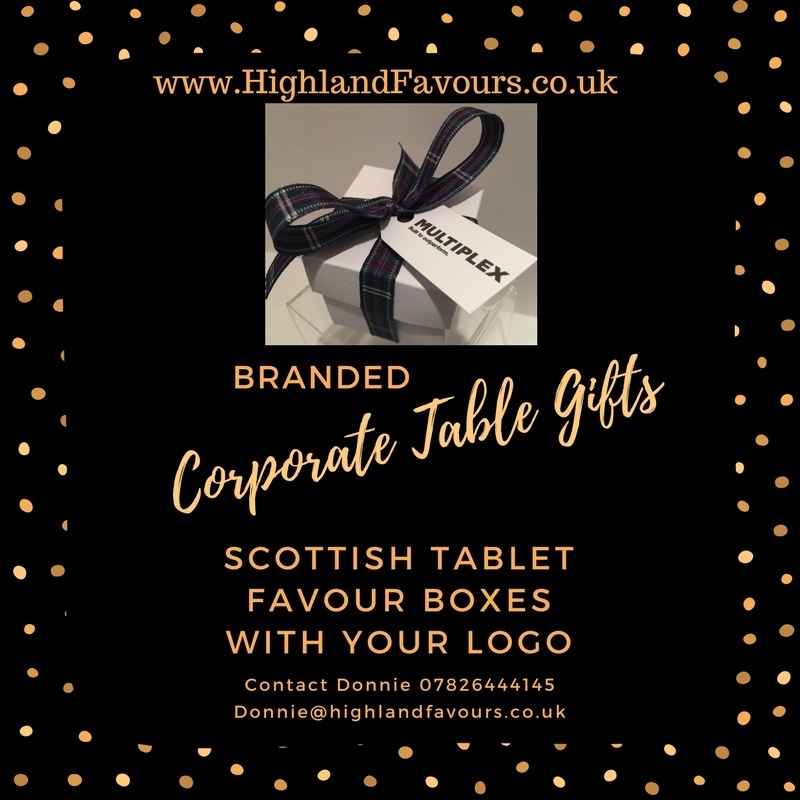 If you have specific requirements not covered in the options please just drop us a note for a personalised quotation.